In our last session, we built a view for managing existing blog posts, and we went through the idea of a router. Now, it's time to build out the editing function. To build an edit function, let's first make an EditBlogView. Again, this should be very easy for you now. We've walked a long way together. 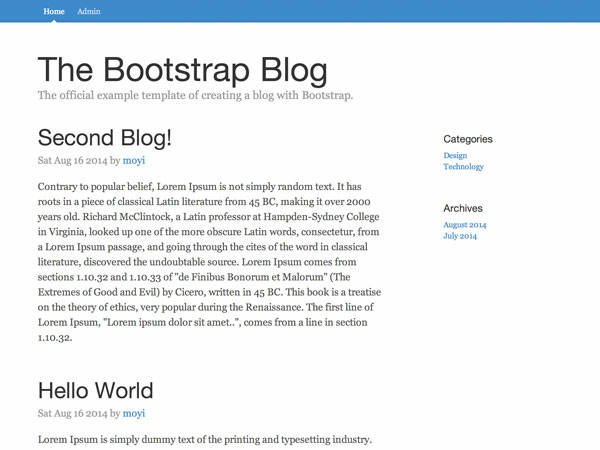 This part is very similar to the AddBlogView template. The only real difference is that because we are editing a blog, we need to pass in the existing title and content. And then the EditBlogView. Again, this is very similar to AddBlogView. For the purpose of this tutorial, we are focusing on how to make it work first. In the next session, we will do all the cleaning up work, and remove duplicated code. Bear with me for now. This time, we are not going to first check and make sure this part of the code works—ideally you've done this enough times that you should feel comfortable moving on. Always check the previous sessions or leave me a comment if you feel stuck. Now, let's make sure /edit/ will link to and render the correct edit view. This means that if you visit http://localhost/your-directory/edit/what-ever-you-put-here, the BlogRouter.edit() function will be triggered, and the variable url within that function will get the value of what-ever-you-put-here. So now, what's the easiest thing to put after /edit that can help us find the exact blog post that we want to edit? It should be id, right? Let's change the code a little bit so it's clear that we will be putting id there. // If the blog was retrieved successfully. // If the blog was not retrieved successfully. If you want to know more about Parse queries, check their documentation. Let's continue to finish the success and error functions in the query callback. And to make sure the router gets the URL change (because it's not static yet), let's write our own link function to replace the default one in BlogAdminView. First, add an event for clicking .app-edit. That's why we needed a class before! Then within the edit() function, prevent the default action, get the href value, and use blogRouter.navigate() to trigger it. The testing could be a little hard at this point because the router is not fully set up yet. 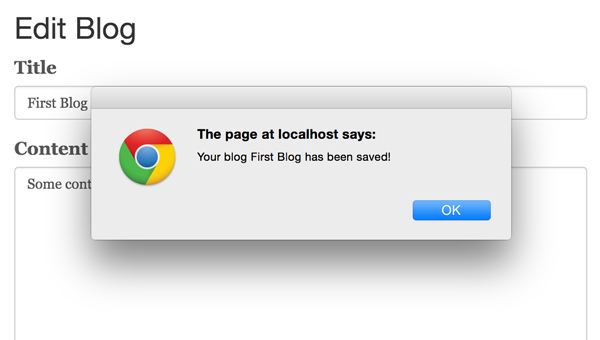 Just go to http://localhost/your-directory/admin.html as a starting point every time you refresh. We will take care of this in the next session. We are so close to getting this page functioning. We just need to make the EditBlogView.submit() function work. 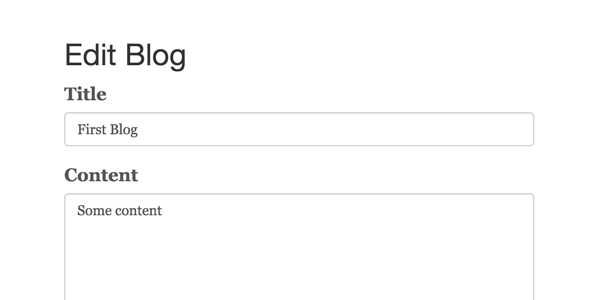 Just as we created the Blog.create() function for adding a new blog, we now need to create a Blog.update() function to save our edits. As you can see, it's very similar to the .create() function, but instead of creating and saving a new blog, you set the value on the current object first, and then save it. Give it a try, and it should be working! If you've followed the tutorial to this point, well done indeed. If you don't like to see the id in the url, and want to have it be like /edit/your-blog-title/, you can do it pretty easily, too. I won't be giving all the code here, because I think you can piece it together now! Now everything should be coming together for you. You've made a ton of progress so far. In this session, we created the whole editing feature for the blog: from preparing the page, to setting up the router, and then to updating the database. Next time, we will do a big cleanup in our codebase. Now we have a lot of overlapping code here and there, because we just want to make sure we can build the functions to work. Next time, you will merge index.html and admin.html, .create() and .update(), AddBlogView and EditBlogView. You will also learn to build a solid application structure with Parse.js. What else? We will also revisit the router, so the URLs can be static (which means you can bookmark it, refresh the page, or send it to your friend). Lots of good stuff to come, so stay tuned!